Layko А. А., Havrylenko Y. V., Karas A. F., Karas H. А. Objective: to study the activity of the main enzymes of energy metabolism in neutrophils and lymphocytes based upon their cytochemical investigation in chronic tonsillitis (ChT) in children with type 1 diabetes mellitus (DM-1). Materials and methods. 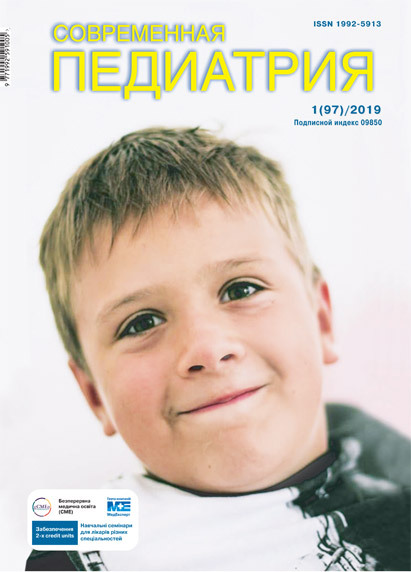 During the period from 2015 to 2016, in total 51 children aged from 6 to 12 years were examined in the National Children's Specialized Hospital OHMATDYT, including 27 males and 24 females. The first (main) group included 30 children (mean age was 9.5±0.4 years), in whom ChT was associated with DM-1. The second (control) group comprised 11 paediatric patients with ChT but without DM-1 (mean age was 9.4±0.8 years). The third group consisted of 10 apparently healthy children without specified or concomitant diseases (median age was 8.7±1.1 years). Duration of DM-1 in children ranged from 5 to 10 years. All children were provided with cytochemical studies of succinate dehydrogenase (SDH), lactate dehydrogenase (LDH), hydrolytic enzymes of acid and alkaline phosphatases. Results. The characteristic features of metabolism, well-known differences in the activity of enzymes of the energy support and hydrolytic processes in leukocytes in children with ChT+DM-1 have been established. The statistically significant SDH activity decrease in neutrophils and lymphocytes in the main group along with the simultaneous increase in LDH activity and reduce in activity of the acid and alkaline phosphatases in comparison with the control group were detected. Conclusions. The obtained results accompany the scientific data on the comorbid course of ChT and DM-1 in childhood. Violation of the functional activity of these enzymes affects the bactericidal and immunological protection and contributes to a more severe course of exacerbations of chronic diseases. Key words: chronic tonsillitis, cytochemical study, type 1 diabetes mellitus, children. 1. Baryicheva LYu, Erdni-GoryaEva NA, Aleksandrovich GA. (2014). Funktsionalnoe sostoyanie neytrofilnyih granulotsitov i markerov apoptoza pri saharnom diabete 1 tipa u detey. Saharnyiy diabet. 3:77—82. 2. Biryukova EV, Gurov AV, Yushkina MA. (2012). Saharnyiy diabet i gnoyno-vospalitelnyie zabolevaniya LOR-organov. Saharnyiy diabet. 2: 54—59. 3. 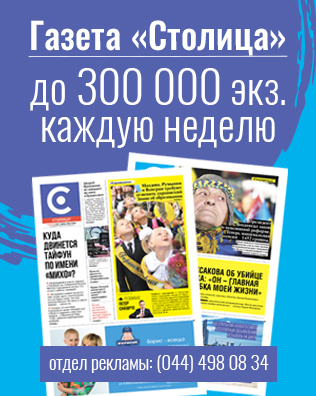 Vdovichenko NI, Tupotilov OV, Boiko AA, Koliada OM. (2015). Osoblyvosti porushen humoralnoi lanky imunitetu u khvorykh na khronichnyi tonzylit pry naiavnosti tsukrovoho diabetu ta yikh korektsiia. Annals of Mechnikov Institute. 2: 215—219. 4. Havrylenko YuV, Laiko AA, Karas AF, Karas HA. (2018). Tsytokhimichne doslidzhennia klityn krovi ditei, khvorykh na khronichnyi tonzylit i tsukrovyi diabet 1 typu. ScienceRise: Medical Science. 3 (23): 13—17. 5. Markevych VE, Hlushchenko NV, Radchenko IP. (2011). Stan enerhetychnoho zabezpechennia ta yoho korektsiia u ditei, khvorykh na tsukrovyi diabet 1-ho typu. Zdorove rebenka. 35(8): 65—69. 6. Shishkova VN. (2015). Osobennosti razvitiya ostrogo i hronicheskogo vospaleniya verhnih dyihatelnyih putey u patsientov s saharnyim diabetom. Consilium Medicum. 17(4): 40—43. 7. Casqueiro J, Casqueiro J, Alves C. (2012). Infections in patients with diabetes mellitus: A review of pathogenesis. Indian J Endocr Metab. 6: 27—36. 11. Muller JA, Hoepelman IM, Rutten HM. (2009). Increased Risk of Common Infections in Patients with Type 1 and Type 2 Diabetes Mellitus. Clinical Infectious Diseases. 29: 281—288. Article received: Mar 10, 2018. Accepted for publication: Sep 19, 2018.